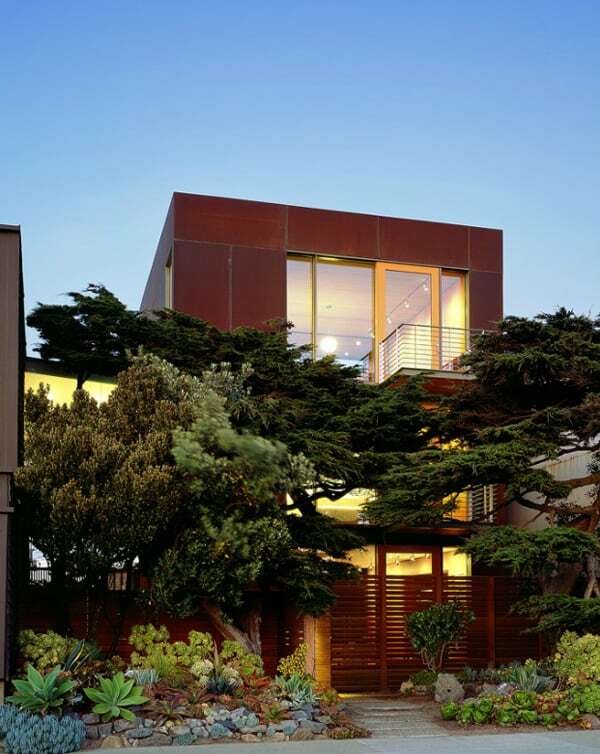 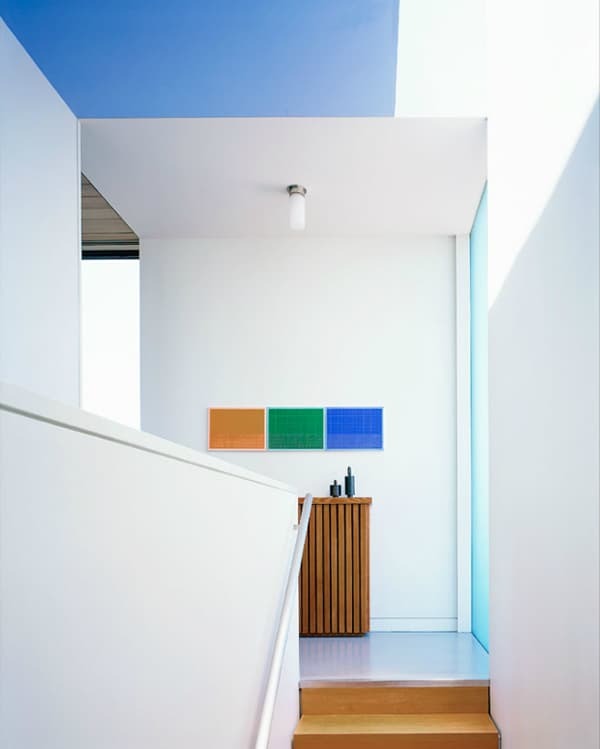 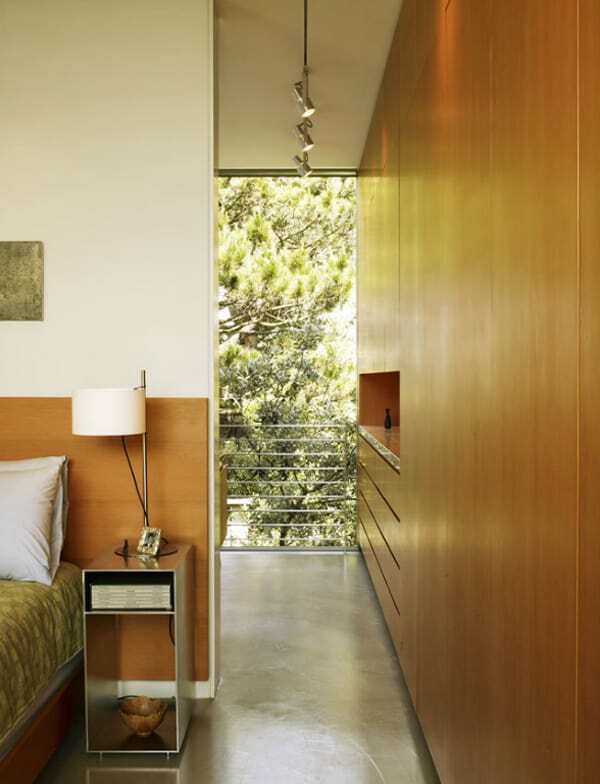 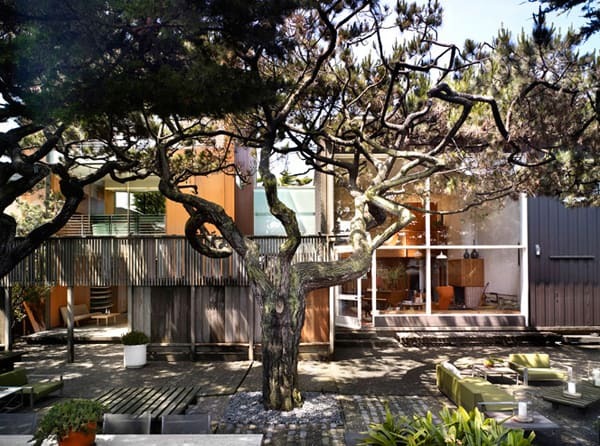 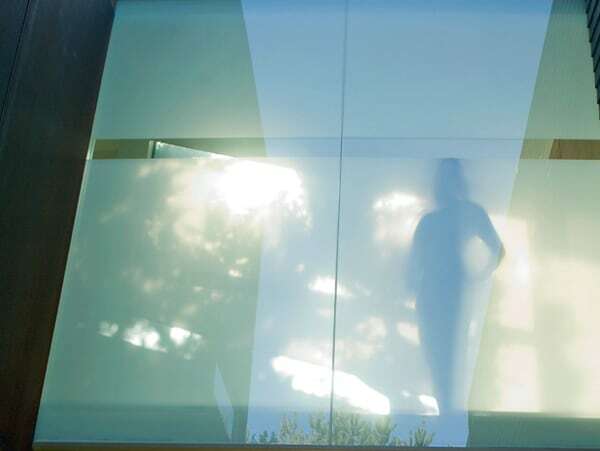 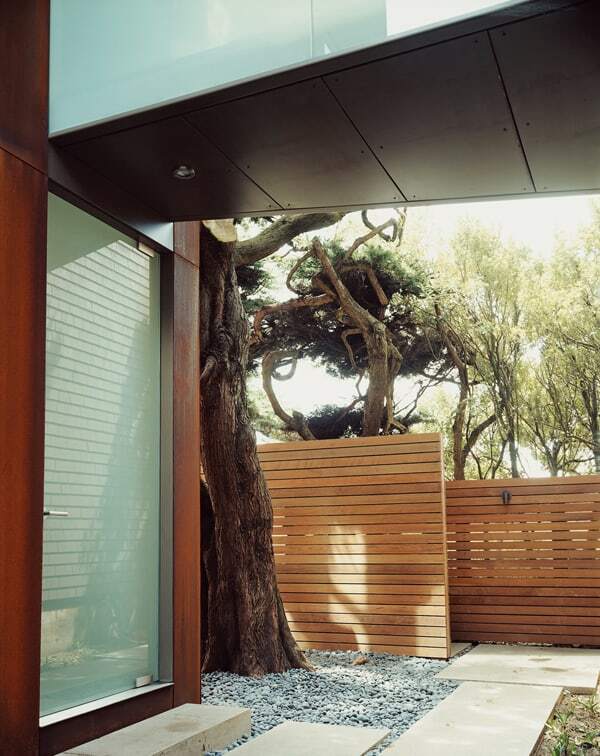 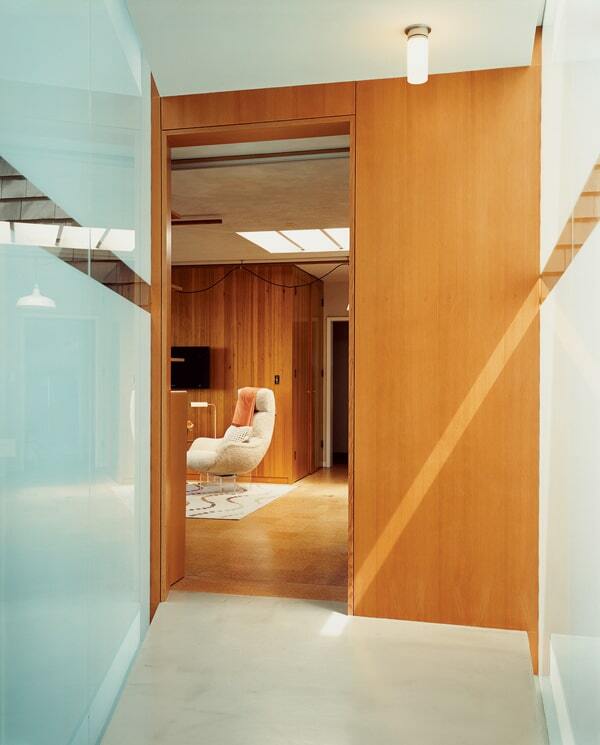 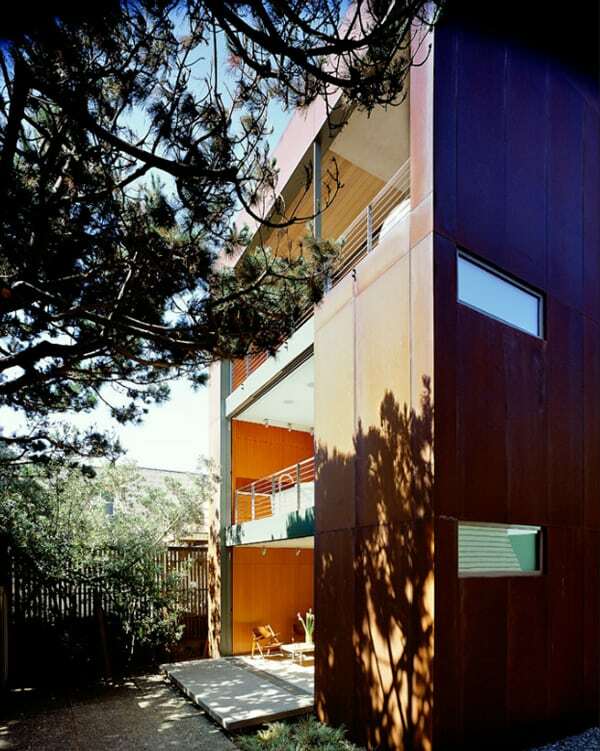 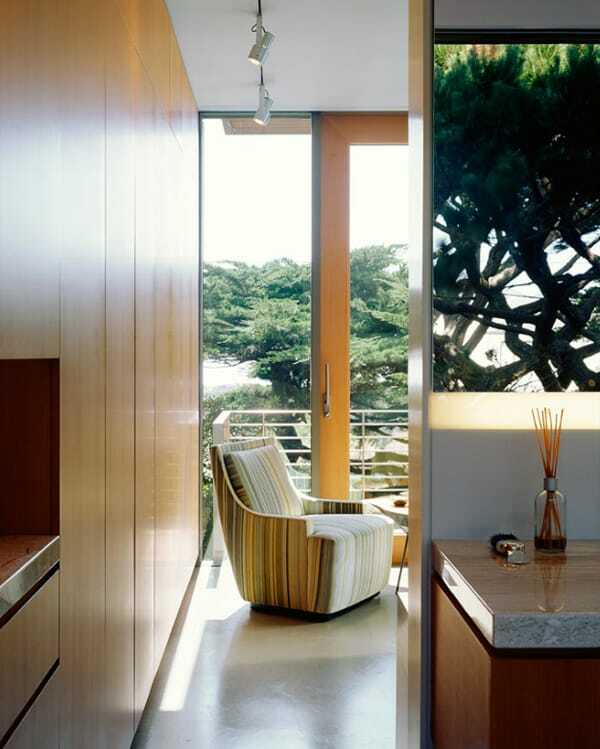 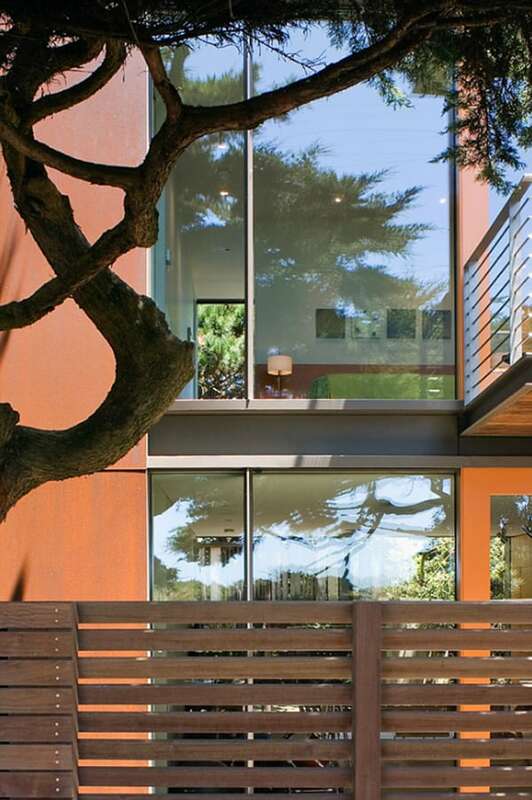 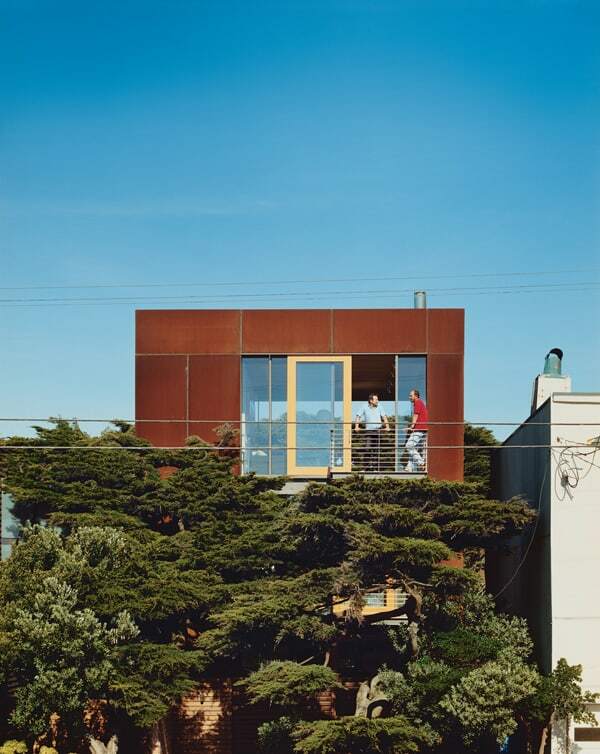 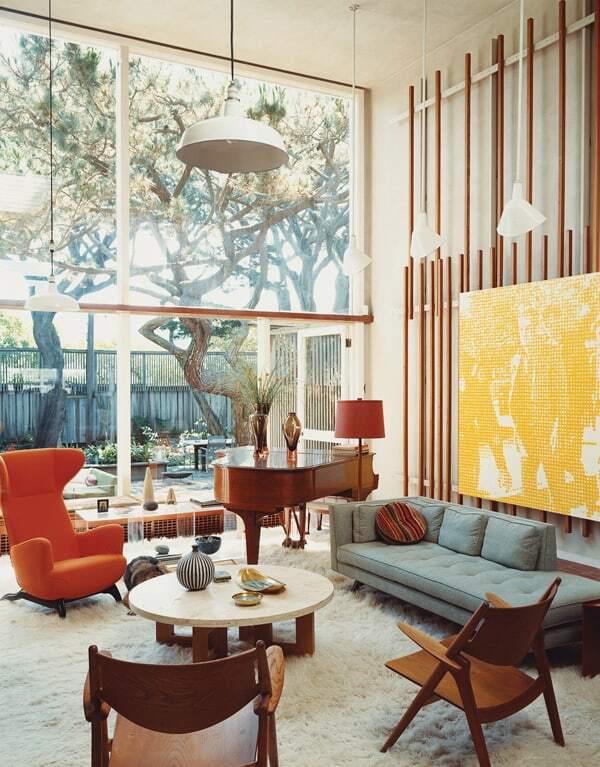 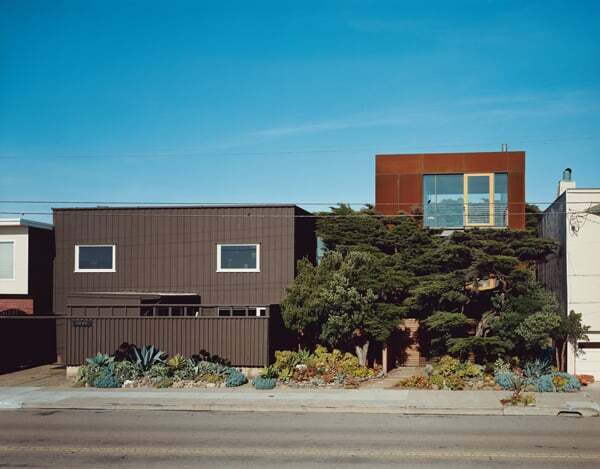 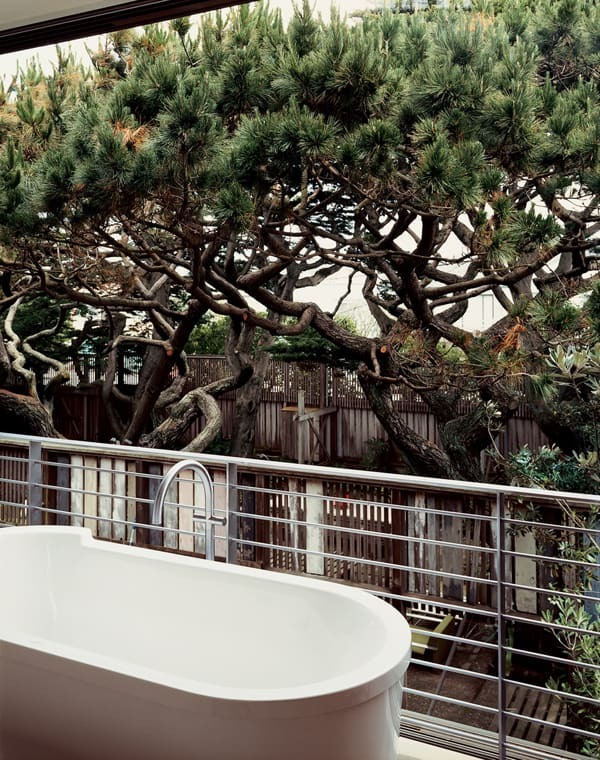 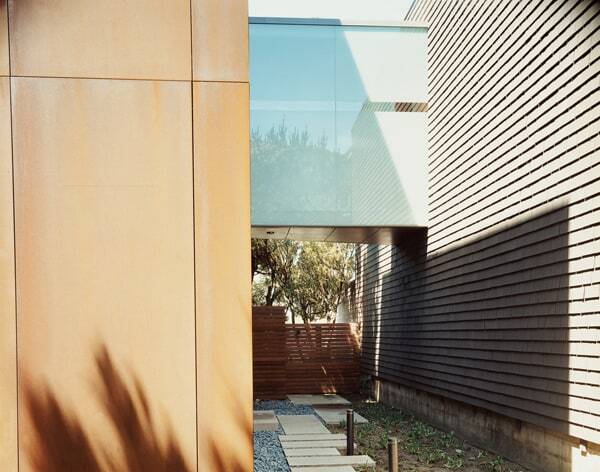 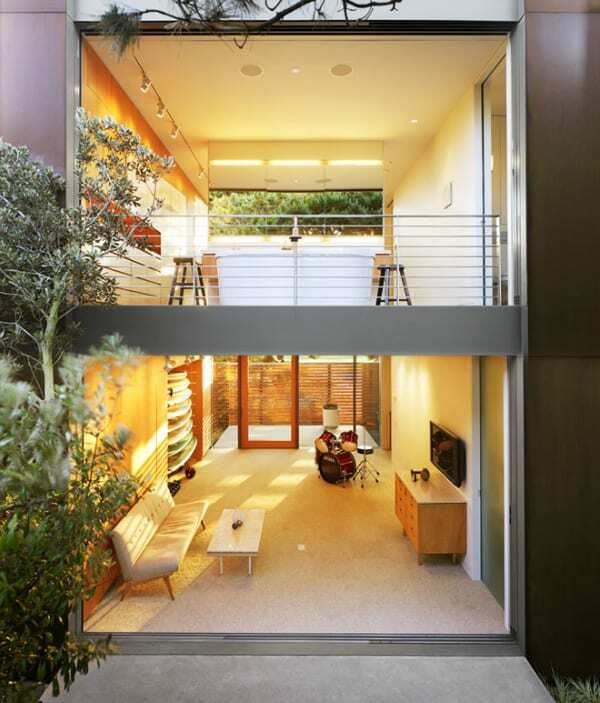 A translucent glass bridge connects this 1,820 square foot Corten steel and glass pavilion to a mid-century modern house, Ocean Beach Residence has been designed by San Francisco Bay Area architect Ernest Born of studio Aidlin Darling Design. 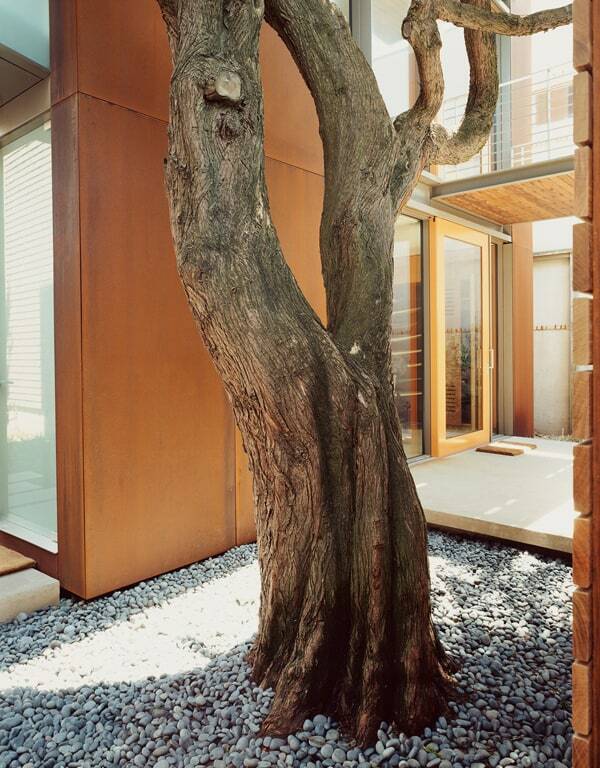 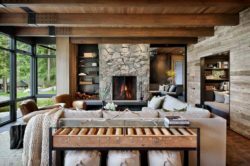 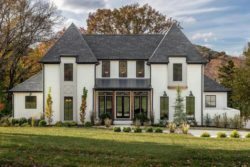 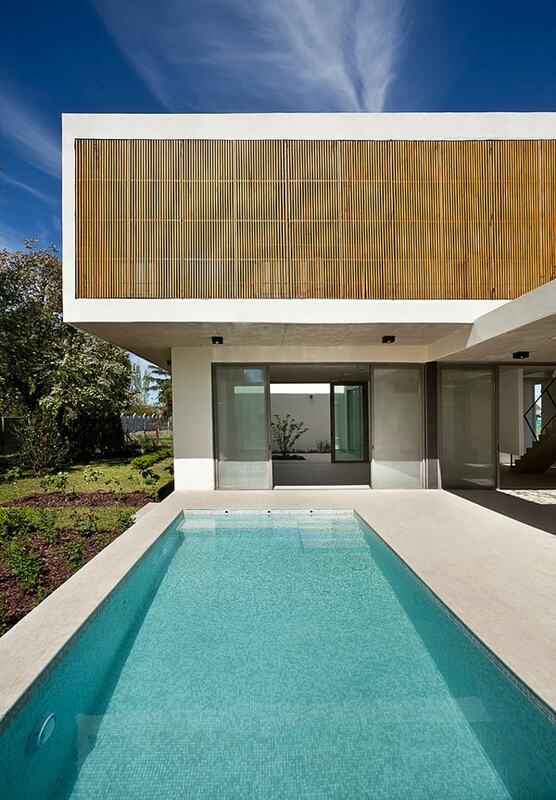 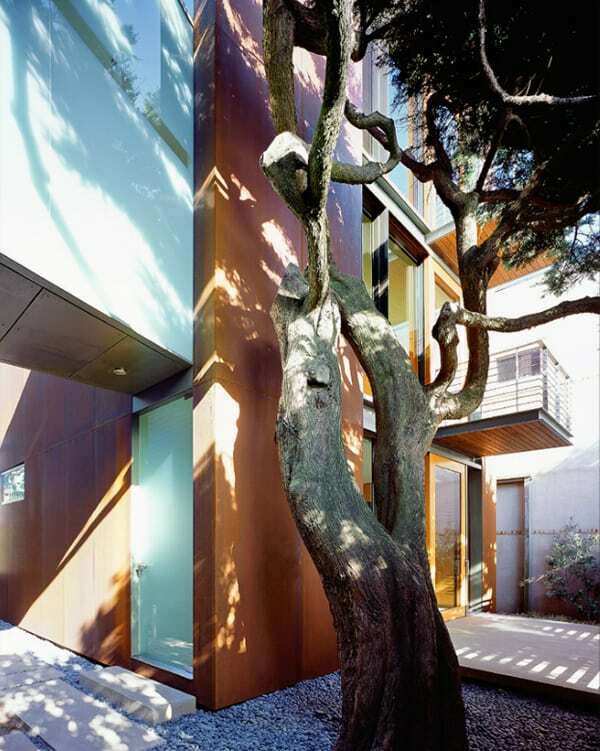 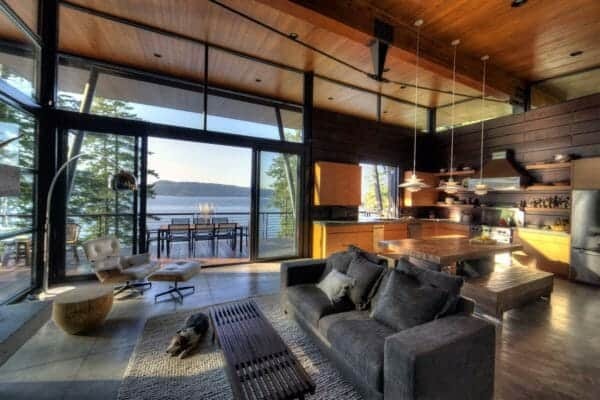 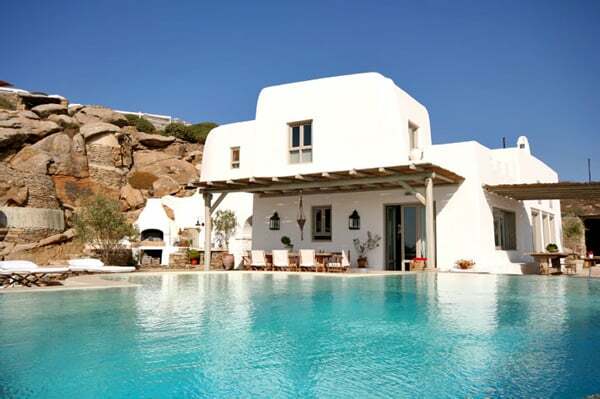 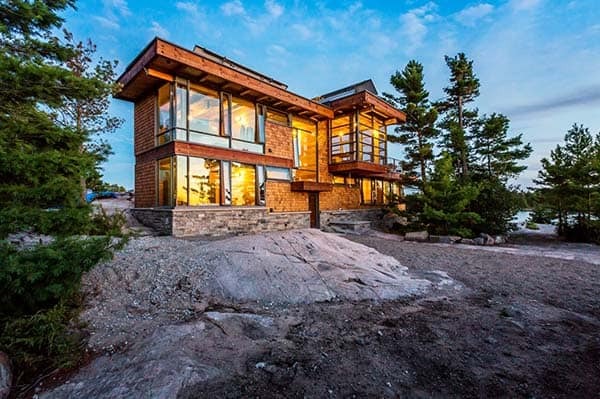 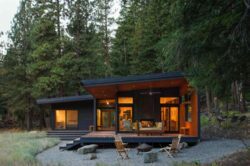 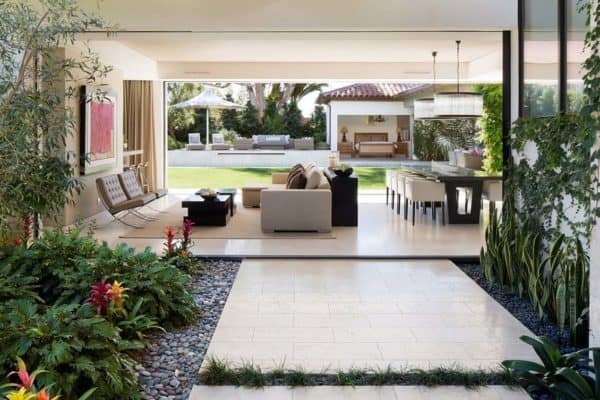 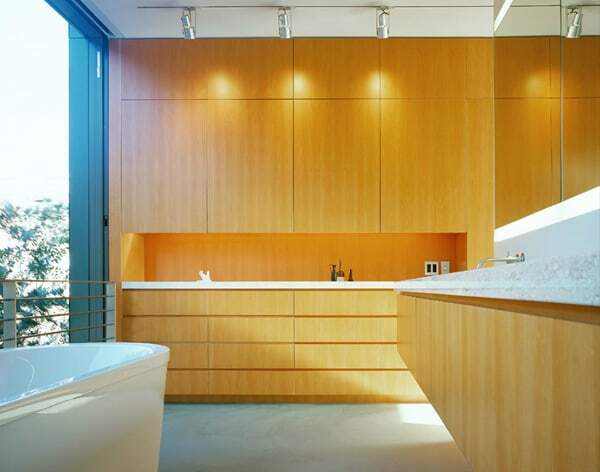 Gently placed among existing trees, the addition, though physically simple, is phenomenally complex. 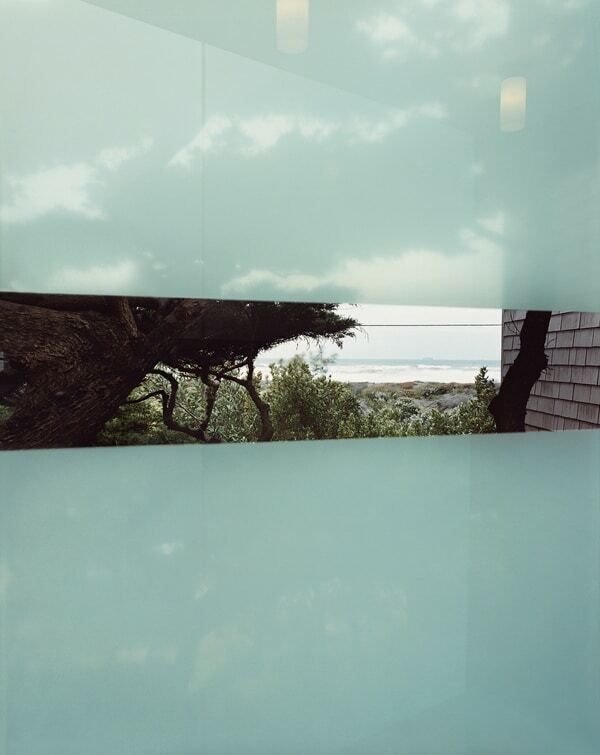 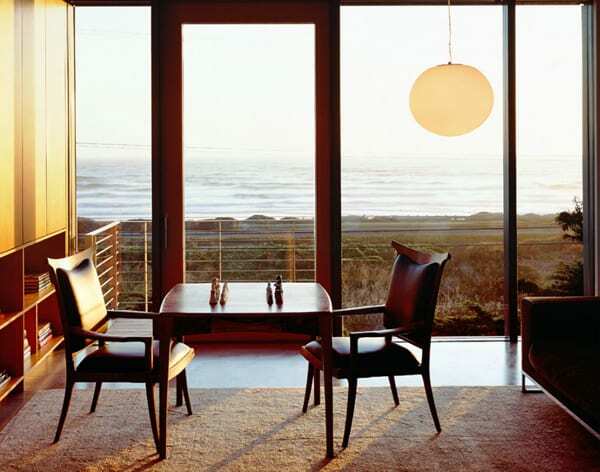 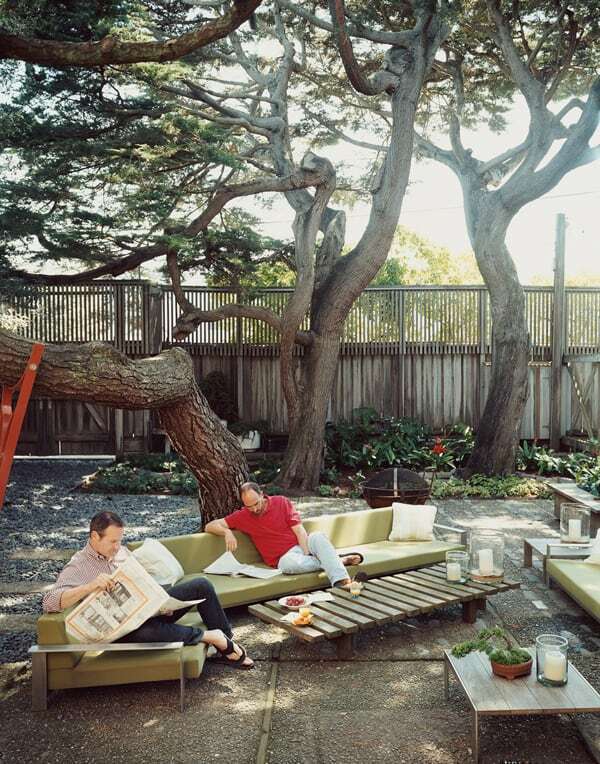 A private cypress grove in the rear and the Pacific Ocean in front are experientially connected through a strategic layering of space, view, reflection, acoustics, and nature.